Beck records for public radio with the Flaming Lips. 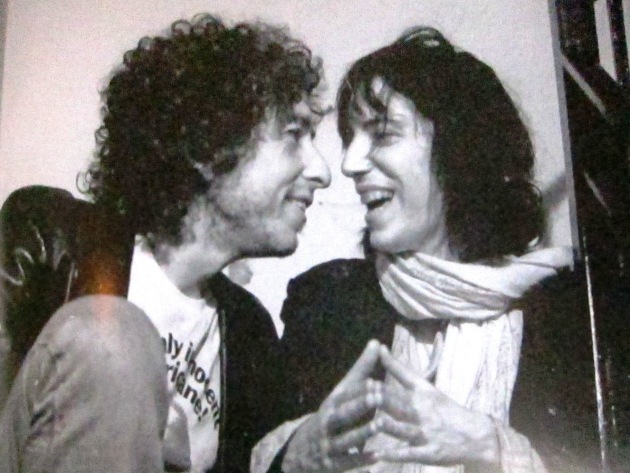 Bob Dylan and Patti Smith. When WBEZ listener and blog-follower Patrick Gallagher found himself wondering about the best double bills ever hosted on our local concert stages, like many a stumped Chicagoan before him, he turned to the fine folks at the Curious City project. But this query is a bit different than others about hidden missile silos and long-gone amusement parks, because there really isn’t a definitive answer. For one thing, no master list exists of concert pairings on the city’s many stages from the last seven decades—and that’s if we’re restricting ourselves to the rock ’n’ roll era. Sure, we could go to the library and comb through a century of dead-tree media, looking for concert listings, ads, and reviews. But that’s assuming every show made the newspapers, not to mention it’s a heck of a lot of obsessive research, even for a fact-finding super-heroine like my colleague Jennifer Brandel. Another, even bigger problem is who gets to define “best”? All any music lover can do is talk about the shows that meant the most to us—the ones we saw that moved us most deeply, to the point that we still recall them with a vicarious thrill 10, 15, 20, or more years later. For me, this sometimes was a pairing of artists who shared similar styles and influences, but not always; on occasion, complete opposites made for the most satisfying experiences. (Think chocolate and peanut butter.) I have not limited my list to only two bands; if a great double bill is worth celebrating, what about one with three, four, five bands or more? In some cases, the two artists were of equal stature, though this was not always the case. On occasion, the artists collaborated before, during, or after touring together—though, again, that didn’t always happen. I told you this Curious City query was a tough one! This blogger will take part in a segment devoted to the topic today on The Afternoon Shift. But here’s an early look at some of the multi-band bills that stand out for me during 21 years on the pop-music beat in Chicago, listed in chronological order. • The Rollercoaster Tour at the Riviera Theater, Oct. 24, 1992. Obviously inspired by the second year of the original day-long touring Lollapalooza, which they had been a part of through the summer of ’92, Scottish noisemakers the Jesus and Mary Chain extended their stay in the U.S. that fall and headlined their own more intimate package tour with Curve and Spiritualized, presenting three different but equally amazing takes on modern psychedelic rock. • Lollapalooza at the World Music Theatre, July 3, 1993 July 16, 1994**. For my money, year three of Lollapalooza was the strongest of the festival’s original incarnation, with main-stage acts the Smashing Pumpkins, the Beastie Boys, George Clinton and the P-Funk All Stars, the Breeders, A Tribe Called Quest, Nick Cave and the Bad Seeds, and the Boredoms and second-stage performers the Flaming Lips, the Frogs, Guided by Voices, and Shonen Knife. One factor was the incredible breadth of musical diversity; another was the impromptu collaborations that occurred either on tour, as the artists shared each other’s stages, or afterwards. ** Corrected for the right date. You know what they say about the ’90s: If you can remember them, you weren’t really there! • Bob Dylan and Patti Smith at the Beacon Theater, New York City, Dec. 11, 1995. • The Area: One Festival at the Tweeter Center, July 25, 2001. As the original Lollapalooza tour petered out into mediocrity in the early days of the new millennium, that lovable techno-pop imp Moby revived the concept of a bounty of musical diversity in one day-long traveling jaunt. This one featured the Roots, Outkast, the Orb, and the man behind Play presenting dramatically different but equally rewarding takes on the power of the groove. Unfortunately, Moby lost his shirt as the concert-going public began to embrace the new model of massive “destination festivals” with a hodgepodge of acts booked with little rhyme or reason… and that of course is how we got to the new Grant Park-based Walmart on the Lake. • Radiohead with the Beta Band, Hutchinson Field, Grant Park, Aug. 1, 2001. Speaking of shows that paved the way for Lollapalooza Mach II, this was the one that convinced a formerly recalcitrant city bureaucracy to let the rockers into Grant Park again. Performing on a stage refreshingly devoid of corporate logos, our Oxford-bred art-rock heroes delivered pristine sound while upping the intensity of their recordings and challenging a mass audience with their enigmatic soundscapes. It was the perfect set in the perfect setting, and the Beta Band opened by snarling at promoters who hassled fans for bringing their own water, as well as entrancing us with their hypnotic grooves, just like in that scene at the record store in High Fidelity the year before. • Nick Cave and the Bad Seeds with Neko Case at the Chicago Theatre, April 26, 2002. Touring with the Bad Seeds, one of the most subtle bands in rock, in support of the stellar No More Shall We Part, Cave transformed himself into the characters in his songs, acting out their tales of murder and mayhem. There’s nothing like two hours of gore from the master of dark and literary mood music to leave you feeling giddy and cheerful… especially when it comes after a beautiful and uplifting set from alt-country chanteuse Case. Nothing beats that mix of sweet and sour, and Cave and Case later would collaborate on a cover of “She’s Not There” by the Zombies for the soundtrack of True Blood. • Beck and the Flaming Lips at the Chicago Theatre, Oct. 18, 2002. 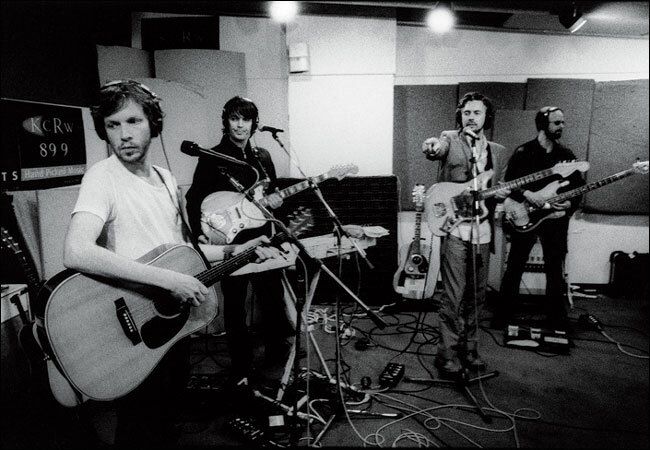 This was an unusual pairing in many ways: Where alt-rock icon Beck always shielded himself behind a cloak of irony and an affected cloud of angst, the Flaming Lips celebrated their sincerity in voicing the joys of being alive. The two brought out the best in each other as they shared the stage throughout the show, with Beck providing the Lips a forum for showing the depth of their talents as musicians, and the Lips giving Beck a welcome antidote to the cathartic material from his dark but wonderful Sea Change album. For Generation X, this combination was the equal of Neil Young pairing with Crazy Horse or Bob Dylan joining forces with the Band. 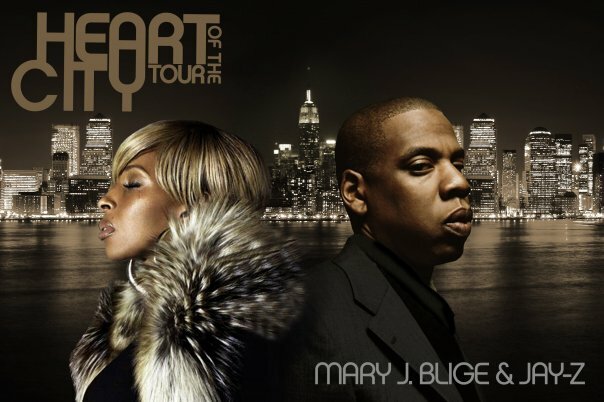 • Jay-Z and Mary J. Blige at the United Center, April 26, 2008. The idea was obvious: Bring together the top talents in hip-hop and R&B for a triumphant arena tour that raised the bar for the concert experience in both genres, with one artist who really speaks to the ladies, and another who all the fellas emulate. The Heart of the City jaunt with Hova and the Queen of Hip-Hop Soul rolled into town for two nights at the United Center with exquisite staging, a kicking big band, and the two headliners performing at the peak of their abilities, together and separately, just as they have numerous times on record. Have you got a favorite double bill or a pairing for the ages? Let me and Curious City know by commenting below.